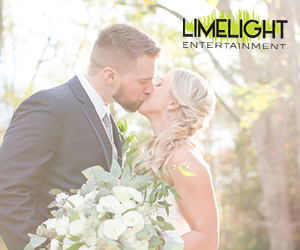 There are so many reasons why one might not be on board with hosting a winter wedding, but this wedding at Nanina’s In The Park brought to us by Live Picture Studios is about to change your mind. 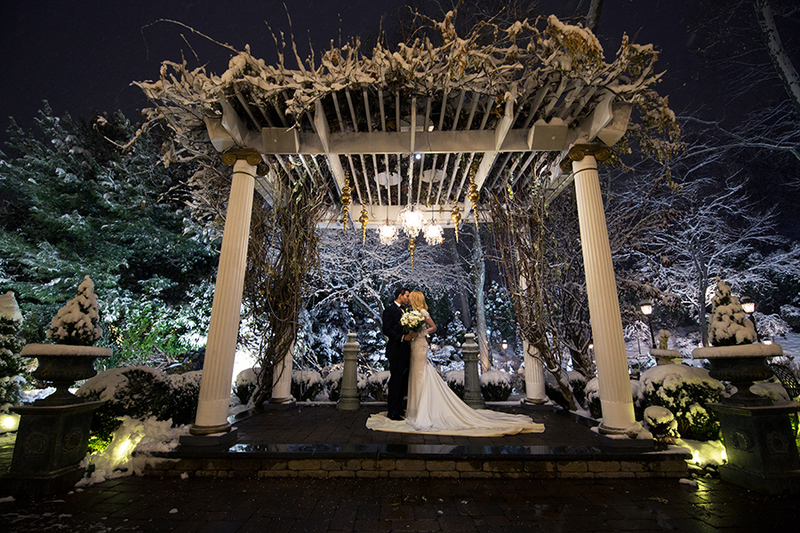 It’s proof that snow-filled nuptials can be just as beautiful and romantic. 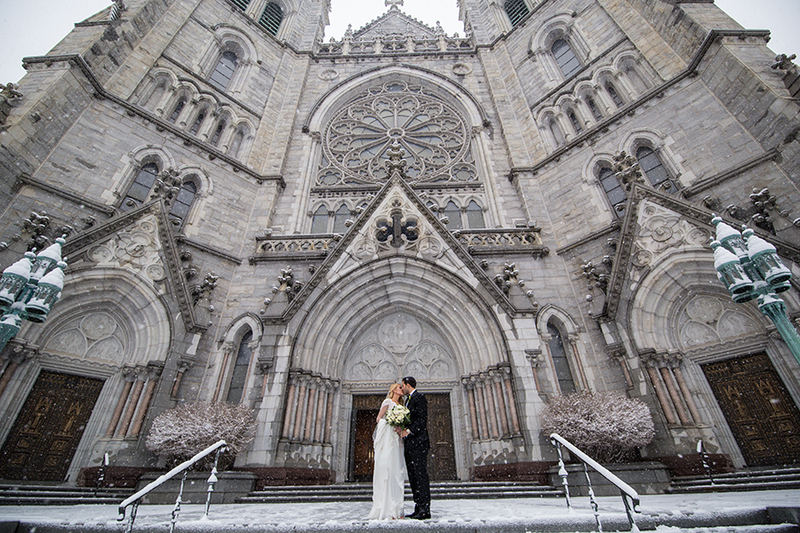 A lace Pnina Tornai bridal gown, a grand cathedral, and a picturesque reception location, amongst a blanket of snow are just a few highlights you’ll find in this gallery below. 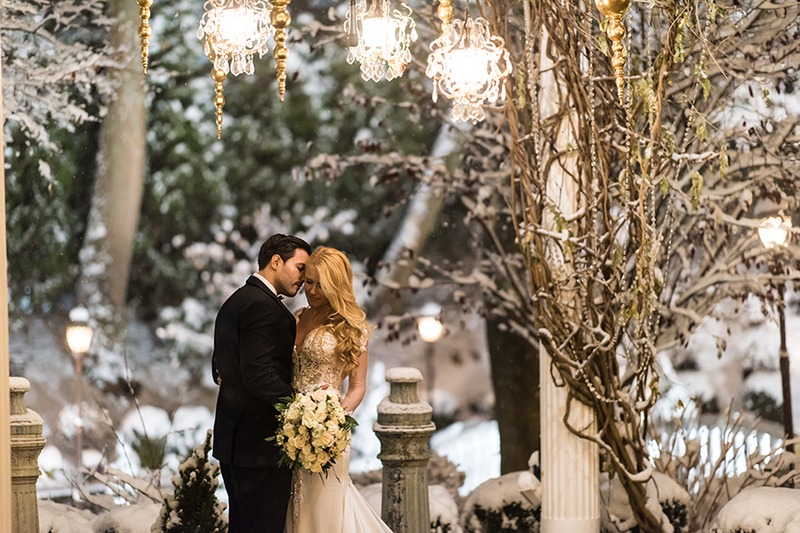 From the bride…The design inspiration for our wedding was winter without a Christmas feel. 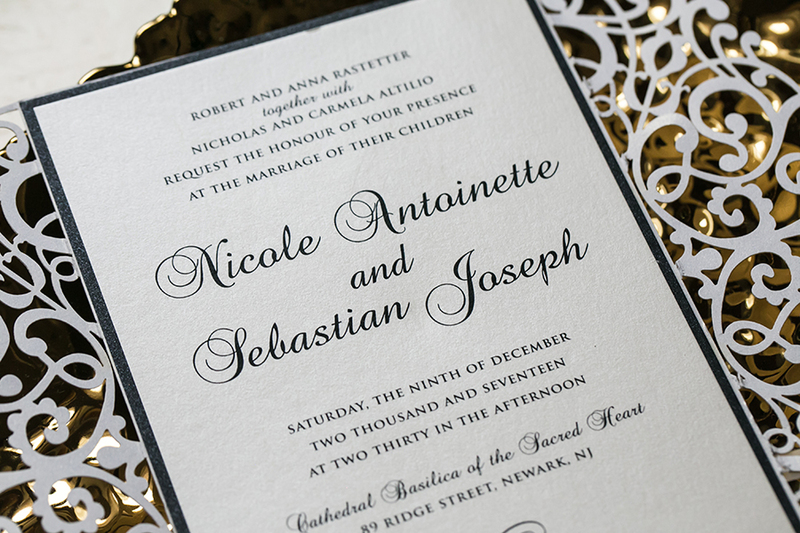 The colors were predominantly white and gold, with touches of deep red and forest green. The centerpieces are the perfect explanation. Tell us about the experience of finding your wedding gown. Did you immediately know this was your bridal gown? This happened to be the first dress I tried on. I liked it, but I wasn’t sold on it, so I continued trying more on. After I had gone through all the gowns my assistant brought into me, my mother and aunt asked me to try on the first one again because that was their favorite so far. And so I did, but something was missing. At the time the dress was sleeveless, and I expressed to my assistant that I really wanted sleeves. She informed me that the designer herself just so happened to be at Kleinfeld that day and that she would go and ask her herself, if there’s anything she can do about the sleeves. Not only did I get an answer, but Pnina herself came to me and explained in great detail the ideas for sleeves that she had. She pulled me into the main room and showed me samples of what different lace sleeves would look like. I couldn’t even believe what was happening. 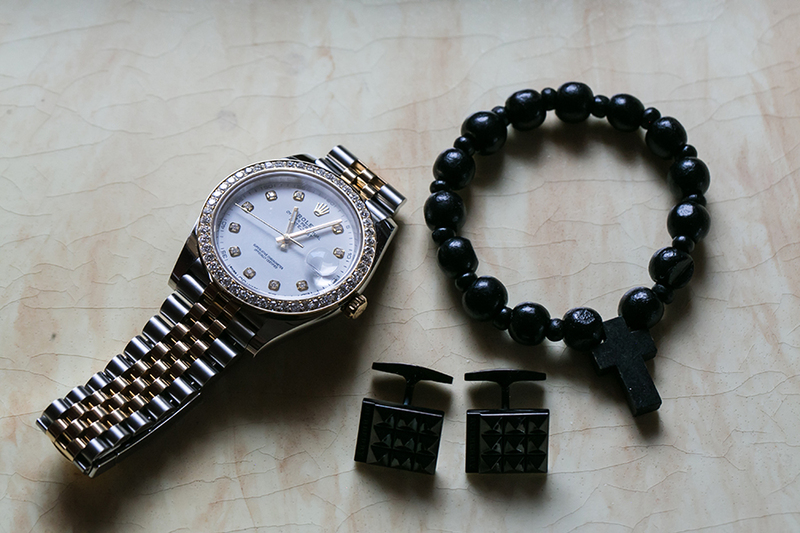 She even asked for a paper and pen and sketched me a sample design. It was the first dress and it was meant to be. She has since featured me several times on her Instagram page wearing her gown, that she made in Israel. 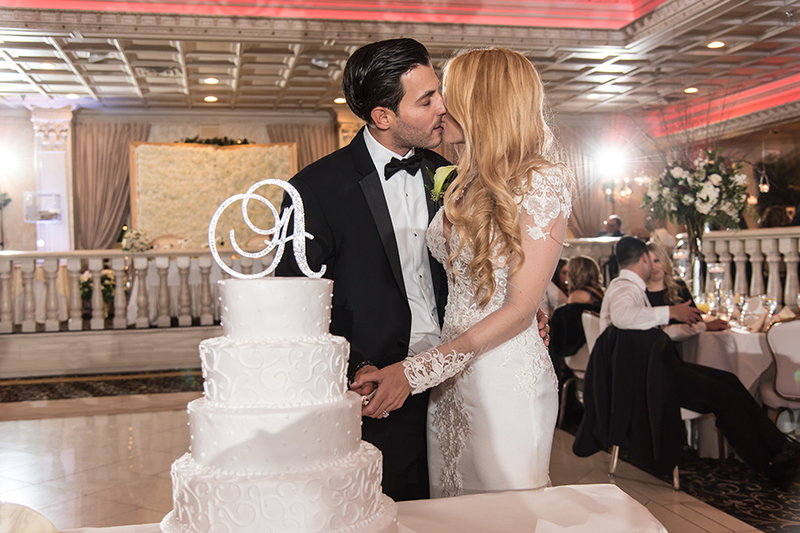 Why did you choose Nanina’s In The Park for your reception? We felt like family from the moment we walked in the door. Our first meeting was with Peter, who asked us to call him Uncle Peter. He offered us anything and everything. He even got personal and had me crying in his office telling me a story about his family. I just felt at home. The place itself is stunning. 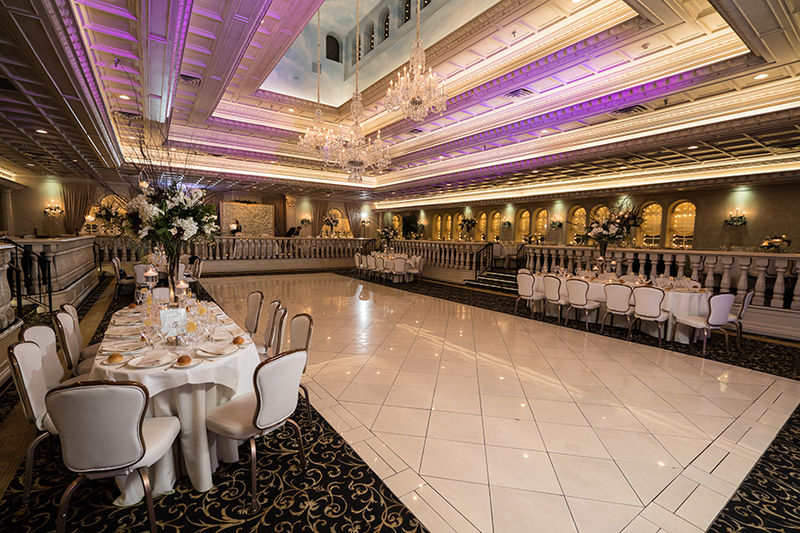 From its warm lounge room equipped with a dark wood fireplace and cozy atmosphere, to it’s grand ballroom with a tiered ceiling. We had been to a wedding their the year prior, and we loved it. 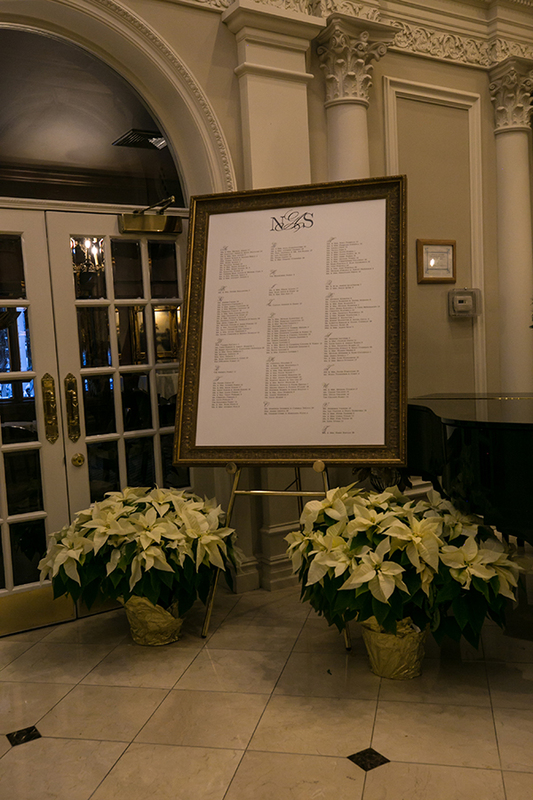 It accommodated a large number of guests in a way that didn’t overcrowd the room, the food is absolutely delicious, and the outside garden is beautiful.. especially in the snow. 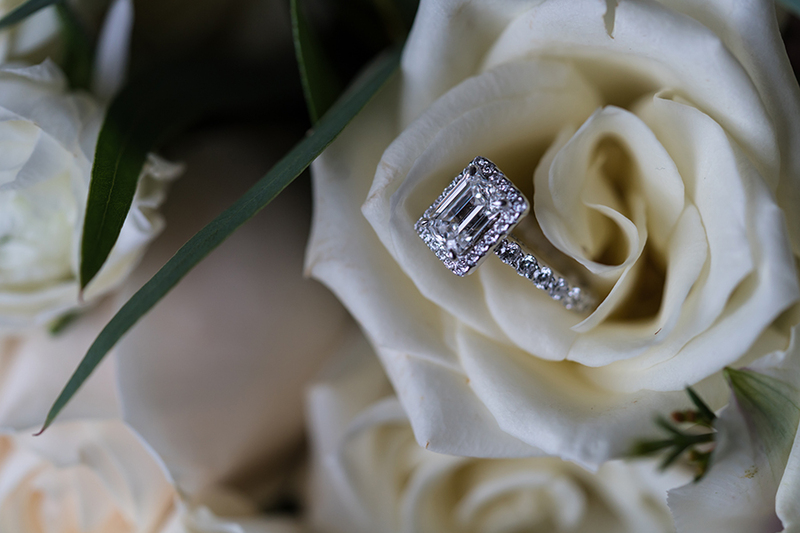 Describe your floral design for your wedding. I left everything in the hands of my florist, George. He is the easiest person to work with. He created a bouquet to compliment my centerpieces, and keep up with the color scheme. I wanted all white at first, but he begged me to trust him, and let him add in hints of green and gold. Needless to say, it worked! 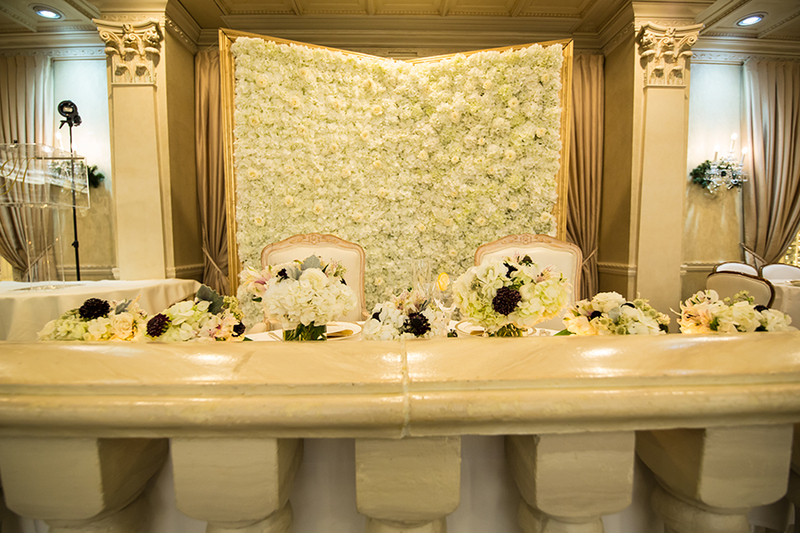 He even constructed a flower wall that stood behind our sweetheart table. 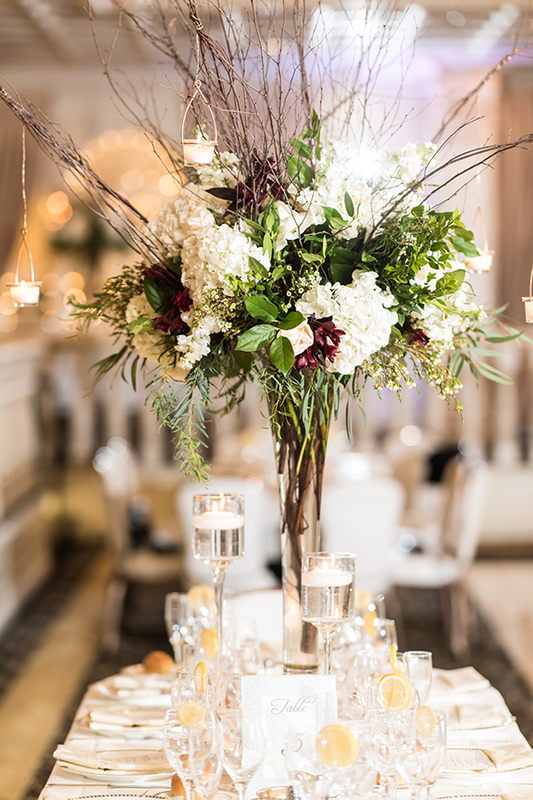 We had a mix of both high and low centerpieces to really add some character to the room. The high centerpieces included many white flowers, pops of gold leaves and red roses, and some rustic brown additions. They also had gold plated candles hanging from them. The low centerpieces matched the high exactly, just without the candles.